During your treatment course, you may have the opportunity to be seen and evaluated by our Physician Assistants, Paul Buchanan and/or Eric Bronson. Paul and Eric have been part of our team since 2003. On the occasion when Dr. DeSimone is in surgery, there is a Physician Assistant available in the office for clinical consultation. Physician Assistants are licensed medical practitioners, who under direct supervision of Dr. DeSimone and his team of physicians, can perform initial and follow up assessments, order radiographs (x-ray, MRI) and prescribe medications when indicated. They can also prescribe physical therapy, apply a cast, and/or apply a brace subsequent to a recent injury. Their focus is to provide the highest quality of care, while emulating our supervising physician’s during your evaluation. As part of our team approach to your care, you will also have the opportunity to interact with them during your visits with Dr. DeSimone. 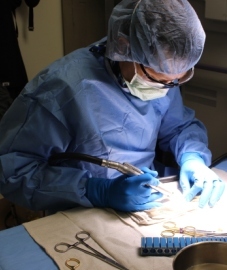 They will also serve as Dr. DeSimone’s first assistant during comprehensive surgical procedures. Paul and Eric also provide medical coverage for several local high school team and community events. Our goal is to have our Physician Assistants closely work and communicate with our supervising physicians to provide you, the patient, with the most immediate and highest quality care. 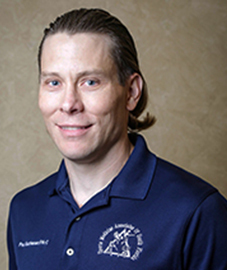 Paul Buchanan is an NCCPA-Certified Physician Assistant. Paul has been with the South Florida Institute of Sports Medicine since graduating from NOVA Southeastern University in 2003, where he served as Class President. Paul resides in the local community with his wife and two children. As a Physician Assistant at our practice, Paul follows the guidelines and protocols established by Dr. DeSimone for the treatment and care of his patients. He has the ability to perform a detailed initial assessment by conducting a clinical evaluation that may include x-rays or review of an MRI as needed. 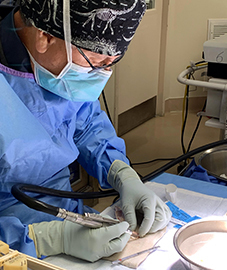 You will meet Paul at The Weston Outpatient Surgical Center, where he will be providing assistance to Dr. DeSimone during surgical procedures. Paul also works very closely with Dr. DeSimone providing medical coverage to North Broward Prep High School, especially during the football season, as Dr. DeSimone has maintained a position as the team physician for this school for the last several years. Paul enjoys playing hockey and serves as the orthopedic specialty lecturer for Physician Assistant Board Review Courses. Eric Bronson is an NCCPA-Certified Physician Assistant. He is a veteran, having served with The United States Army as a laboratory technician and resides within our local community with his wife and three children. As a physician assistant at our practice, Eric follows the guidelines and protocols established by Dr. DeSimone for the treatment and care of his patients. He has the ability to perform a detailed assessment by conducting a clinical evaluation that may include x-rays or review of an MRI as needed. You will meet Eric at our main Weston office during your initial consultation or at the Weston Outpatient Surgical Center, where he will be providing assistance to Dr. DeSimone during surgical procedures. Eric also works very closely with Dr. DeSimone providing medical coverage to West Broward High School, especially during the football season, as Dr. DeSimone has maintained a position as the team physician for this school for the last few years. Eric enjoys playing sports and has been a soccer coach for over nine years within our local community. His other interests include golf, fishing and scuba diving.